Chilean filmmaker Pablo Lorrain has made some very good movies including Tony Manero in 2008, Post Mortem in 2010 and No in 2012 but his latest movie, his first in the English language, is certainly not up to the standard of these three and to my mind nowhere near as good as the hype would have you believe. 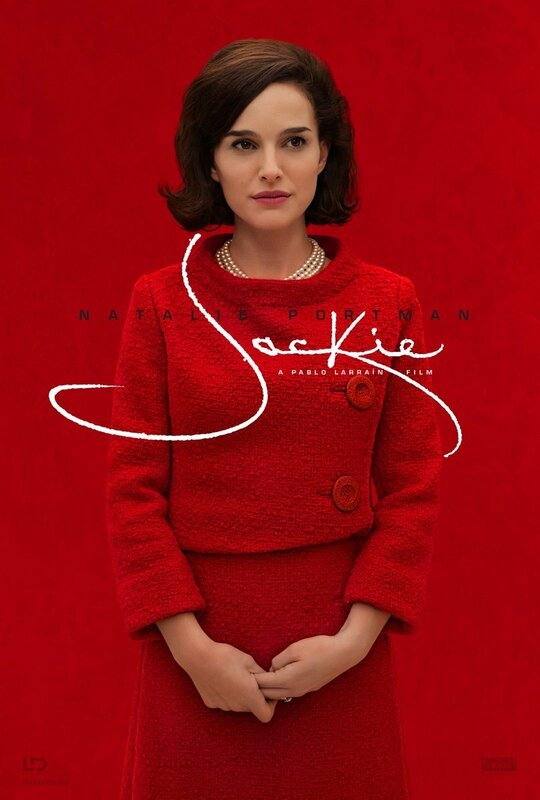 Jackie (2016) has been nominated for three Academy Awards including Best Costume Design, Best Original Score and a Best Actress Nomination for Natalie Portman, if this years BAFTA's is anything to go by, will probably manage to win Best Costume Design and certainly not Best Actress for Portman who mumbled her way through the talky role making it very difficult to understand what she was saying. This biographical drama, originally conceived as a HBO miniseries, basically deals with the week between John F Kennedy assassination on the 22nd November 1963, his burial and when his wife and two children Caroline and John Jnr, who died in a plane crash in 1999 at the age of 38, leave the White House for the last time. Noah Oppenheim's lack lustre screenplay is partly based on Theodore H White's Life magazine interview with Jackie Kennedy a week after her husband’s death. It was during this interview that inappropriately the delusional ex First Lady compared the Kennedy years with King Arthur's mythical Camelot - the first American president to encompass the celebrity culture and to spend $2 million on the restoration of the White House, not quite the Knights of the Round Table. Larrain's movie is a rather hollow look at the period and at times minds numbingly boring not helped by the Journalist (Billy Crudup) interview that adds nothing to the film and would have been better without it. 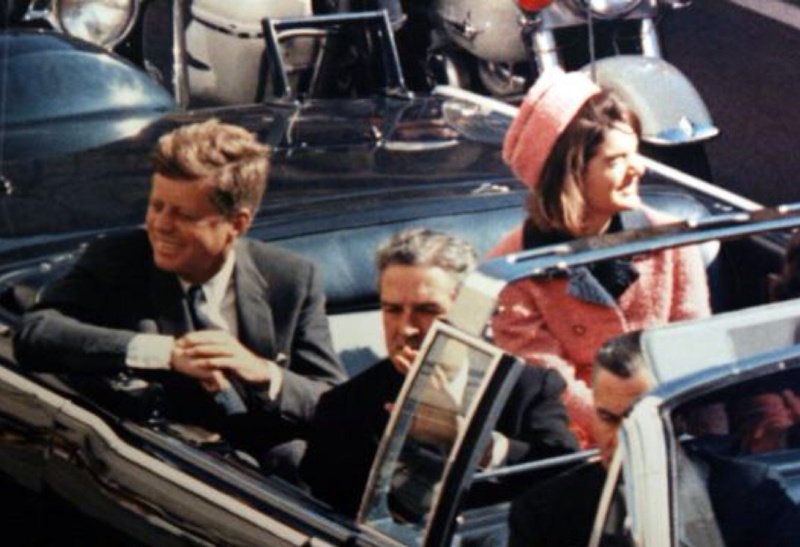 The drama is non-existent only the scene in Dallas when JFK gets shot during the motorcade shows any pretence of the story coming to life. The infamous blood stained pink suit. 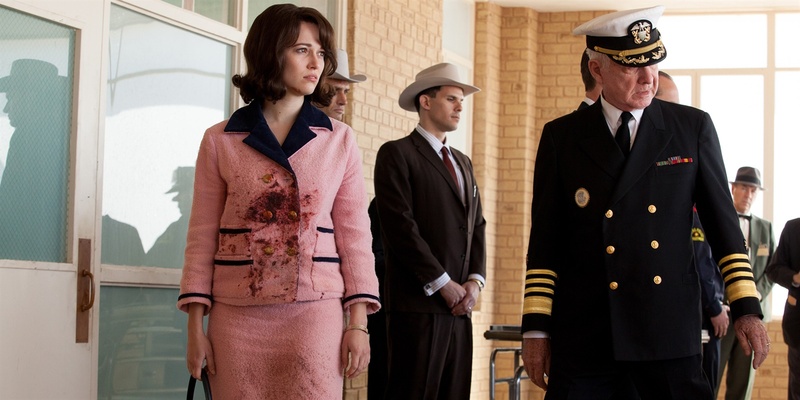 The film also stars Peter Sarsgaard as Robert F Kennedy with whom Jackie seems to have a rather intimate relationship, although who can blame her when her husband spent a minimal amount of time sharing her marital bed and John Hurt as Jackie's father confessor, this was his final film release before his death in January 2017and shows why he will be missed and to be quite honest the only actor in this charade to earn his salary.